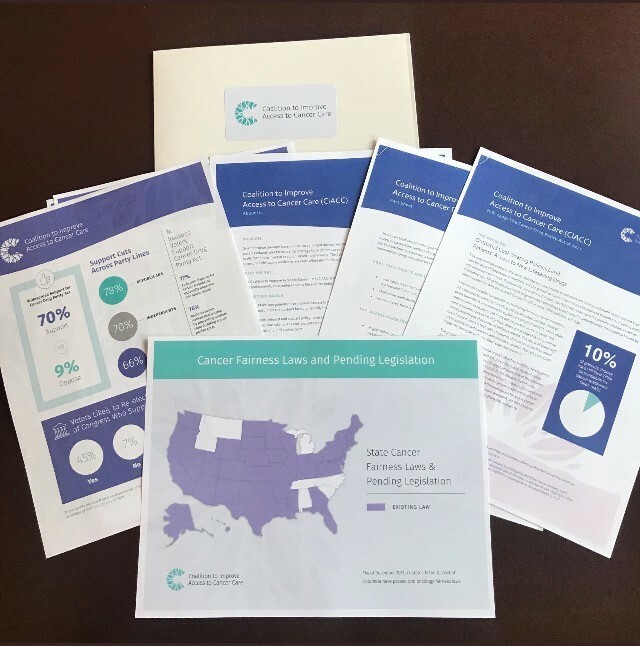 On Tuesday, March 6th the Patient Equal Access Coalition (PEAC), which is run by the IMF advocacy department, held an event in Washington, D.C. to relaunch the coalition as the Coalition to Improve Access to Cancer Care (CIACC). The relaunch effort is part of a larger process to enhance our ability to pass meaningful legislation. CIACC is unique in the diversity of its membership, including patient advocates, hospitals, biopharmaceutical companies, pharmacists and some of the country’s premier research institutions. The primary mission of the coalition is improving the quality of care and access for cancer patients. The event included a presentation on the new name, logo, website, and polling information conducted on behalf of the coalition. 70% of those polled support legislation that would modernize insurance coverage to keep pace with medical innovations. H.R. 1409, the Cancer Drug Parity Act of 2017, would prevent insurance companies from applying different co-pays to oral cancer medicine than they do to chemotherapy or other injected treatments. In the 43 states and the District of Columbia, where comparable state laws are in place, 74% of cancer patients paid no co-pay for their treatments, regardless of form. Insurers also faced no cost increases. Unfortunately, those laws only impact patients under state regulated plans, about 40% of the market. H.R. 1409 is needed to cover the other 60% on federally regulated plans under the Employee Retirement Income Security Act of 1974, better known as ERISA. During the event, CIACC members and guests heard from Paul O’Hara, a CML patient in Pennsylvania who, before his state adopted legislation like H.R. 1409, paid several thousand dollars out of pocket every month for a daily pill that allows him to live a normal life. Paul described the choices he had to make between affording his medication and paying his other bills; about not being able to take his family on vacation, skipping doses to make the medication last longer and worrying about affording college for his daughters. In January, when Paul called his insurer to find out what his co-pay would be he was told that it was a new insurance year and he had not yet hit his deductible limit. Paul’s insurer told him his first round of oral pills would cost him $10,000. Luckily, Paul knew about the state law and made his insurance company aware as well. His new monthly bill is $50. There are many more patients like Paul in Pennsylvania who work for large multi-state employers and who are not protected by these laws, even if their state has one. That is why on Wednesday, March 7th the CIACC stormed Capitol Hill to garner support for H.R. 1409. Five groups of CIACC members met with 37 House and Senate offices to spread awareness on the issue and ask for sponsorship. With 140 current cosponsors, the Cancer Drug Parity Act of 2017 is gaining momentum, but we still need your help to cross the finish line. Click here to see if your Representative has become a sponsor. Check out our website, www.access2cancercare.org, to see how you can take action or follow us on Twitter @CancerCare4All to keep up to date on the Coalition and chances to get involved. We can be reached by email at advocay@myeloma.org. This year’s Myeloma Action Month campaign focuses on individuals like YOU – Myeloma Warriors – who are surviving with the disease, supporting loved ones, or helping to find the cure. We are very fortunate to have amazing advocates in Tennessee. Not only sharing their myeloma stories with lawmakers to support oral parity but also raising awareness about Myeloma Action Month. 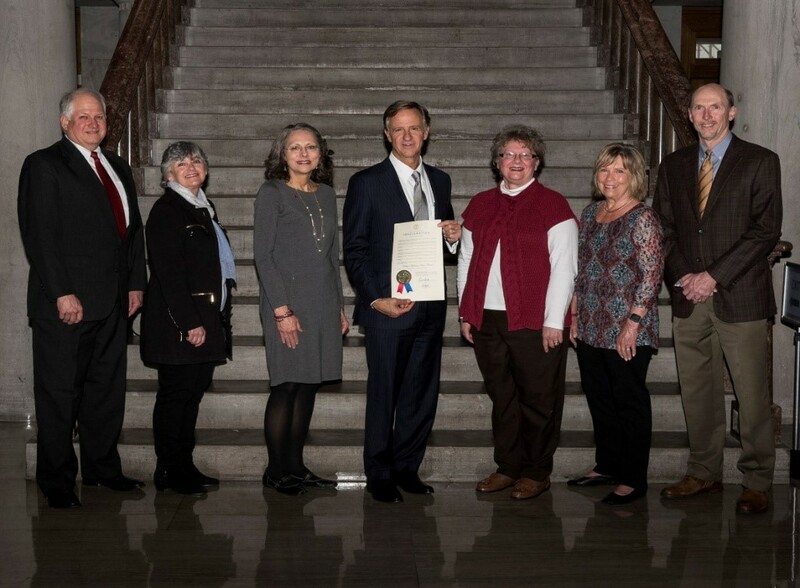 Governor Bill Haslam has proclaimed March 2018 Myeloma Action Month in Tennessee. Earlier this month, support group leaders from all four multiple myeloma support groups (Memphis, Chattanooga, Nashville, and Tri-Cities) across Tennessee, came together for Governor Haslam's proclamation about Myeloma Action Month. See press release here. On March 5th 2018, the co-chairs of the Congressional Cancer Survivors Caucus introduced H.R. 5160, the Cancer Care Planning and Communications (CCPC) Act. The bill would create a Medicare code that would provide for the coverage of cancer care planning and coordination. 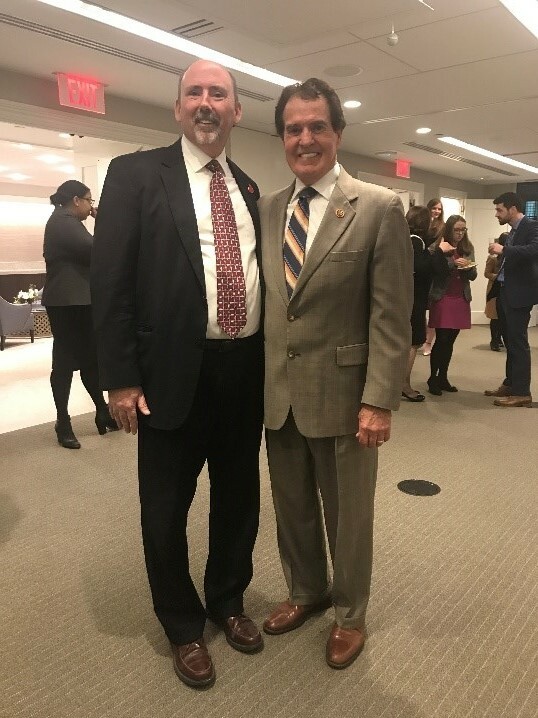 Both of the bill’s champions, Reps. Mark DeSaulnier (D-CA) and Ted Poe (R-TX) are cancer survivors and bring a unique perspective to their work in Congress. The IMF happily endorses this bill alongside many other organizations that wish to improve the care cancer patients receive. View the support letter here. A vote occurred last night in the House of Representatives on H.R. 5247, the Trickett Wendler, Frank Mongiello, Jordan McLinn, and Matthew Bellina Right to Try Act of 2018. The bill passed the House with a vote of 267-149. If signed into law, the bill would give terminally ill patients the ability to request access to drugs that were beyond phase 1 clinical trials and still under consideration by the FDA. However, it would do so without the need to request a use exception from the FDA. The latter portion gave many legislators and patient groups cause for concern over patient safety. The IMF joined with nearly 100 patient advocacy groups echoing our concerns about the legislation in its current form. We have been active in sending letters to legislators educating them about our concerns. The most recent letter can be viewed here. Our concerns surrounding patient safety have been echoed by FDA commissioners who served both Republican and Democratic Presidents. The House attempted to bring up the same bill last week under a suspension of the rules, which would have required two-thirds of the House to vote yes in order for passage. This procedural move, combined with strong opposition from patient advocacy groups, ultimately led to the bill’s failure. The bill was reconsidered as a structured rule, which required simple majority support. Although the Senate passed its own right to try bill in the summer, due the language differences between the House and Senate, the bills will need to be reconciled in order for the legislation to move forward. Our Advocacy Team will continue to monitor this situation. Interested in learning more or taking actions about our federal and/or state priorities? Email the IMF Advocacy Team, advocacy@myeloma.org, to find out ways you can help and make your voice heard. Find us on Twitter and Facebook! @IMFadvocacy will be sharing the latest news on legislation and policies we are tracking. And follow @Chemoparity for updates on our fight to get oral parity passed at the state and federal levels.